I love family reunions. Love them. There's nothing like family getting together, appreciating one another's company and making beautiful memories. And when there are new family members involved, well, it's a whole different ball park! You have a wonderful scenario of grown members growing into their newly acquired roles, flourishing under the light of connection. 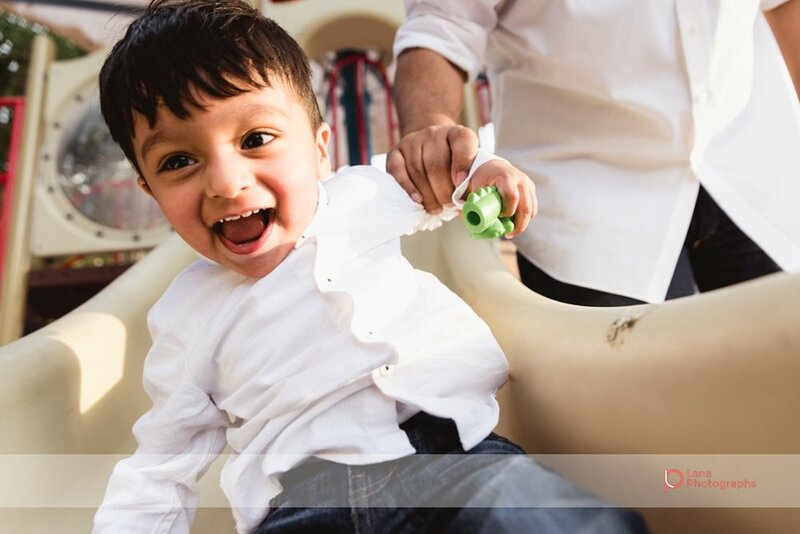 When Saira got in touch with me to tell me that Haleema, Ali and Auntie Shafqut were visiting from Chicago and wanted to book in some time to capture a lovely afternoon in the park with the twins, I couldn't be more thrilled! Fast forward a few weeks, and we had a wonderful time! The sun was hiding for the first half of the session, but made her glorious entrance during the second half. Thank you guys for trusting me with your first Dubai photoshoot! And I hope to see you this summer in Chicago!